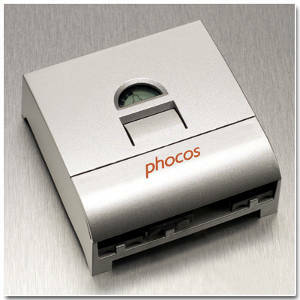 Phocos CXN 12/24V solar charge controllers have exceptional features at a very good price. They feature pulse width modulator (PWM) regulation with integrated temperature compensation, low-battery load disconnect and a comprehensive display. Battery state of charge, charge and discharge current, and faults are clearly displayed on an LCD in a bar graph. These only consume 4 mA at night. The deep discharge protection function can be set up to three different modes: voltage controlled, SOC controlled or adaptive (fuzzy logic). CXN controllers have a built-in data logger. Data can be accessed by a PC by using the CXN-USB interface converter. Data includes maximum and minimum battery voltage, state of charge at beginning and end of day, amp-hours produced by PV array and more. Daily data is available for the past 7 days. Other features include audible warnings and a programmable nightlight function. Phocos new CXN charge controllers can be used in systems where the array, battery and load negatives are grounded. Dimensions are 3.5" x 3.5" x 1.5". Not UL Listed. 3-year warranty. The CX series is a sophisticated solar charge controller family with exceptional features for its price range. Beside a perfect PWM regulation with integrated temperature compensation the controllers provide extraordinary display, programming and safety functions. The battery state of charge is clearly displayed with a bar chart, as well as energy flows from and to the battery and the load status (e.g. overload, load short circuit). The deep discharge protection function can be set up to three different modes: voltage controlled, SOC controlled or adaptive (fuzzy logic). Acoustic warnings are built in, and also a programmable nightlight function. As an accessory we can provide an Excess Energy Management output to control special Phocos appliances like the SF solar refrigerators/coolers. The compact case design is prepared for DIN rail mounting (mounting device available as an accessory).